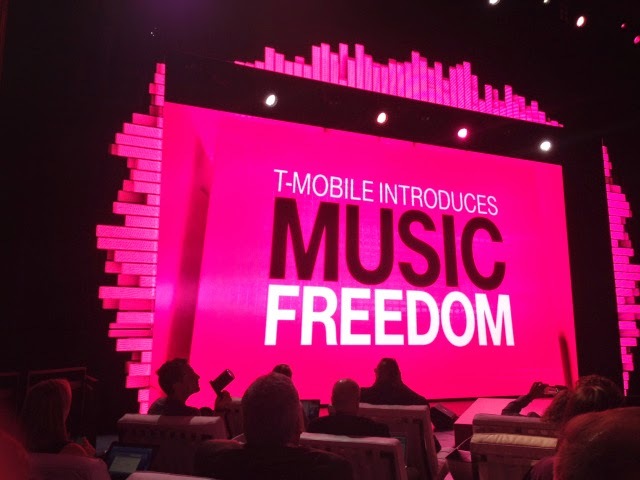 T-Mobile’s “Music Freedom” program allows users to stream music from various services without it counting against subscribers’ monthly data allotments. On Monday, T-Mobile added several new music apps to its list of supported services, including heavy-hitters like Google Play Music and SoundCloud. In August, T-Mobile claimed that it had streamed over 7,000 TB of music that didn’t count against data caps. T-Mobile is now saying that 200 TB of music data is streamed daily on average. At an average of $10 per 2GB, those figures work out to millions of dollars of data charges saved. T-Mobile says that its free music streaming program is consumer-friendly and a good reason for consumers to switch carriers. But if you’re invested in the net neutrality fight, there’s reason to be wary of toll-free data plans. Because T-Mobile usually throttles user data when users reach their cap, Music Freedom is effectively giving preferential treatment to those services which have signed up for T-Mobile’s program. Although T-Mobile, in its press release, makes clear that music services don’t need to pay to be included in Music Freedom — “No backroom deals. No paid prioritization.” — it’s not hard to imagine a situation in the future where T-Mobile or another carrier refuses to grant a streaming service data-free status because of business. 8/ Title II is heavy regulation and Section 706 is lighter. 9/ I favor the 706 version, if regulated, because… did I mention how much I love innovation? !